This volcano experiment is fun and easy to do. In this experiment you will be using a small film canister as the throat of the volcano. The lid of the canister represents cooled igneous rocks covering up the molten rock in the throat of a volcano. Be sure and stay 8-10 feet (3 meters) away from the canister to observe your eruption. Eruptions on Kilauea volcano in Hawaii are fueled by expanding gases that forces the molten rock out of vents on the volcano. The lava has a low-viscosity and therefore often creates rivers of molten rock. These rivers sometimes create lava tubes that turn into lava caves when the eruption is over. Dacite and rhyolite magmas are thick and viscous with a high percentage of quartz. The high quartz content in the magma does not allow gases to escape easily. The dacite dome growing in the caldera of Mount Saint Helens is one million times more viscous than the lava that flows out of Kilauea volcano. Dacite and rhyolite magmas are so viscous the gases cannot escape as they near the Earth's surface. Pressure builds up until there is a violent eruption. Some eruptions will literally blow the top off of a volcano. This volcano experiment should be completed outside under the supervision of an adult. Make a guess as to what will happen when you do this experiment. 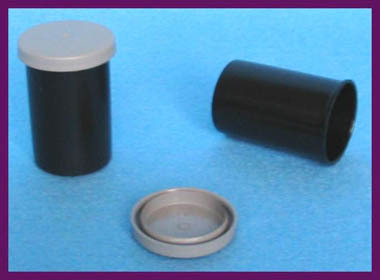 Place an Alka Seltzer tablet in the film canister. Add enough water to fill the canister about 1/2 full. Quickly snap the lid on the canister and set it on the ground. Step back about eight feet from the canister. After the "eruption" and the lid flies off the canister. Measure the distance the lid and canister flew through the air. Record your information on a piece of paper. What do you think will happen if you use two tablets of Alka Seltzer? Record your prediction and do the experiment. Try the experiment using a variety of small containers with lids that snap on. Do not try this experiment with containers that have screw on lids. Novarupta volcano, Mount Saint Helens, and Pinatubo volcano were all eruptions with viscous magma that contained large amounts of dissolved gases that created violent eruptions. Novarupta volcano's eruption in 1912 was the largest of the 20th Century. Mount Saint Helen's eruption in 1980 was recorded and shown live on television. Pinatubo's eruption in 1991 was the second largest in the 20th Century. Water Cycle Experiment, Salt on a Stick This experiment combines science and history as it shows how Indians collected salt and exchanged it for obsidian. Simple Science Experiment, Rubber Band Shoot Have fun shooting rubber bands in this fun and easy experiment. Simple Science Experiments, Pressing Layers Discover how bread slices can turn into sedimentary layers in this fun experiment. Cool Science Experiments, Funny Bones In these fun experiments find out how you can create "funny bones" that can bend. 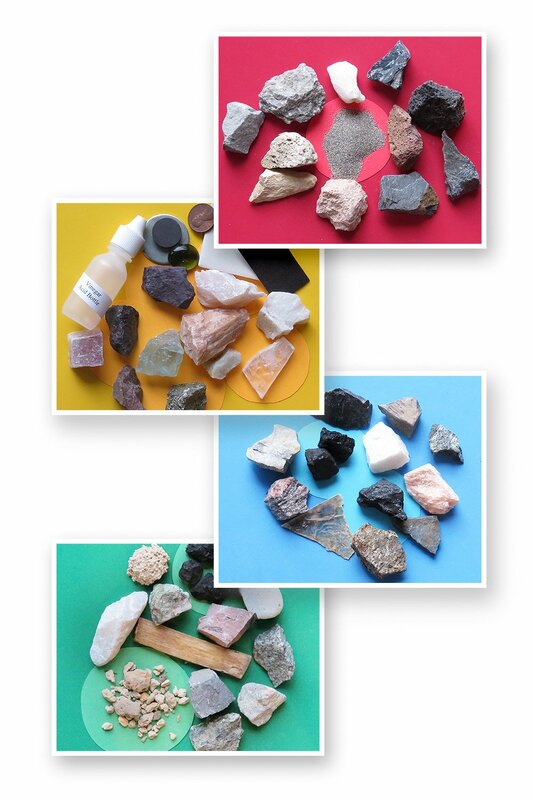 Easy Science Experiments, Pumice & Obsidian Find out the difference between pumice and obsidian and why one will float and the other will sink like a rock. Volcano Experiment, Volcanic Eruptions Find out in this volcano experiment what happens when expanding gases in magma cannot escape beneath a volcano. Earth Science Learn about planet Earth, Rock Cycle, Volcanoes and many more topics by clicking the links on this page. 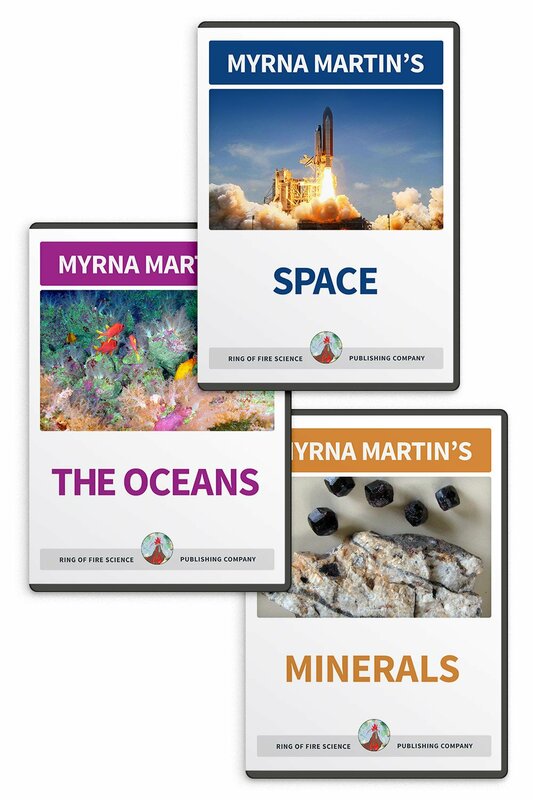 Check out Myrna Martin's award winning textbooks, e-books, videos and rock sets. 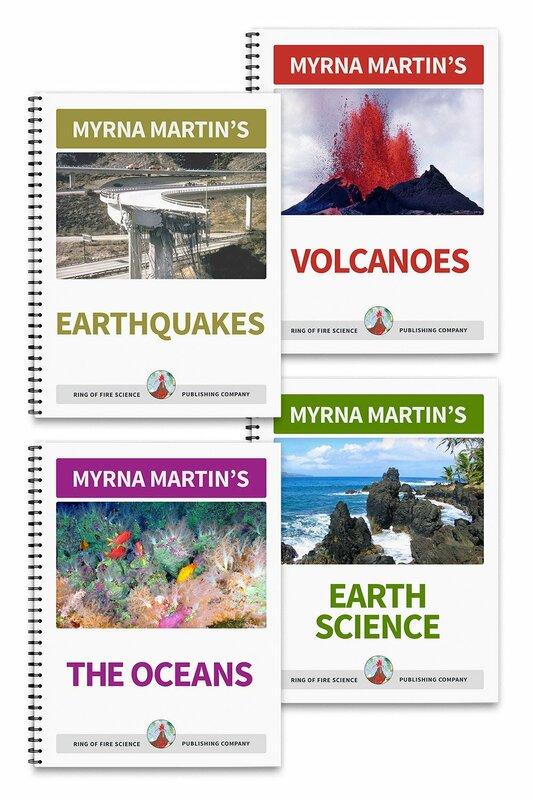 The Ring of Fire Science Bookstore covers a wide range of earth science topics. Click here to browse.